Arsameia, located at the foot of the Mount Nemrut, is one of those magical places in Turkey that hide in the shadow of a famous tourist attraction located nearby. While the peak of Mount Nemrut regularly fills with an international crowd, especially at sunrise and sunset times, the ruins of ancient Arsameia silently wait for someone to drop by. Undoubtedly, this is for the benefit of those lucky people who decide to visit Arsameia, because they will be able to calmly and peacefully contemplate its wonderful reliefs, explore the tunnels and admire the picturesque views from the Acropolis of this summer capital of the Commagene Kingdom. 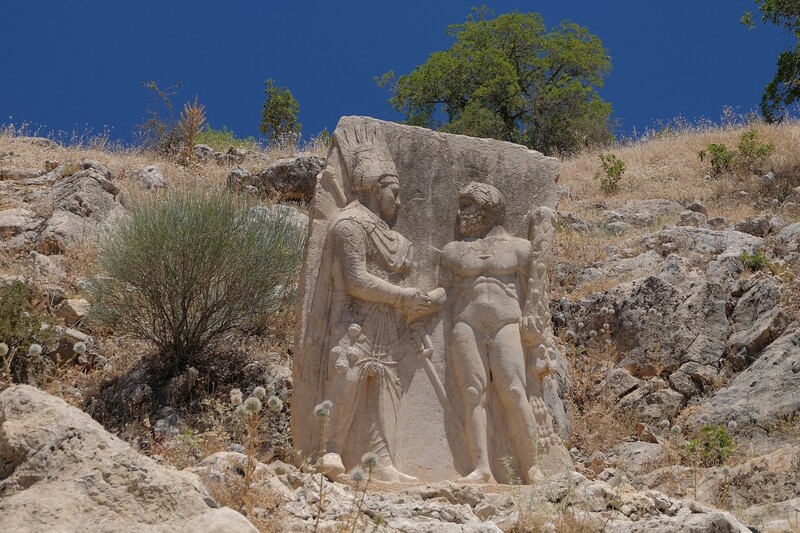 Yeni Kale, meaning New Castle, is one of the several additional attractions that await the visitors who arrive at this region of Turkey to see famous Mount Nemrut. Of course, in a land of such rich and long history as Anatolia, the term "new" does not necessarily mean that the building was built a few years ago. 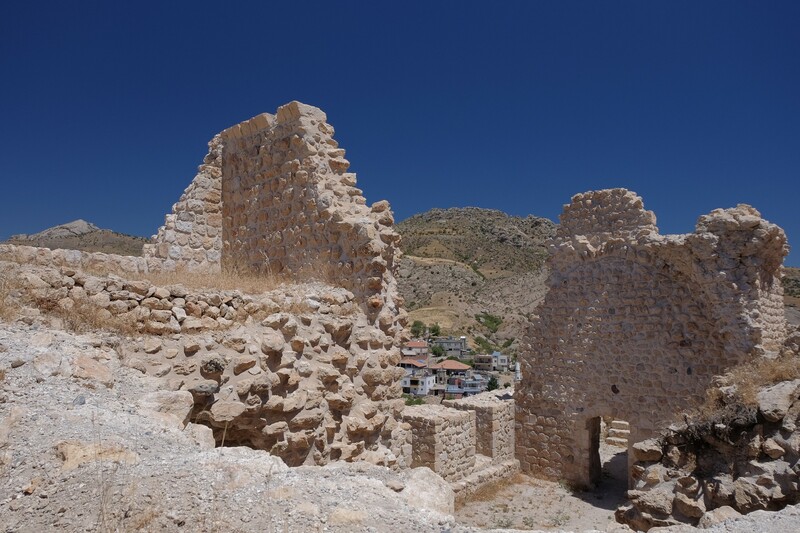 Actually, the fortress is referred to as "new", because it was erected in the 13th century, which distinguishes it from the Old Fortress (Eski Kale) - the ruins of ancient Arsameia dating back to the 3rd century BCE. The biggest archaeological discovery in the area of Turkey, announced in November 2017, was undoubtedly the existence of a 3000-thousand-year-old castle under the waters of Van Lake in the far east of the country. We also followed a mysterious dig in Tarsus, supposedly aimed at finding St. Paul’s Bible in Tarsus, and we learned that an ancient Persian temple discovered in Amasya in northern Turkey could rewrite religious history. Edirne is a city that still holds many secrets concerning its past. The best proof of that is the recent archaeological discovery, made in the very heart of the city's historical centre, in front of world-famous Selimiye Mosque. Edirne Municipality prepared the project of a revitalisation of the Selimiye Mosque Square, including the creation of a tourist information office, a park, pools and fountains. However, it was opposed because there are the remains of a historical building hidden below its ground. 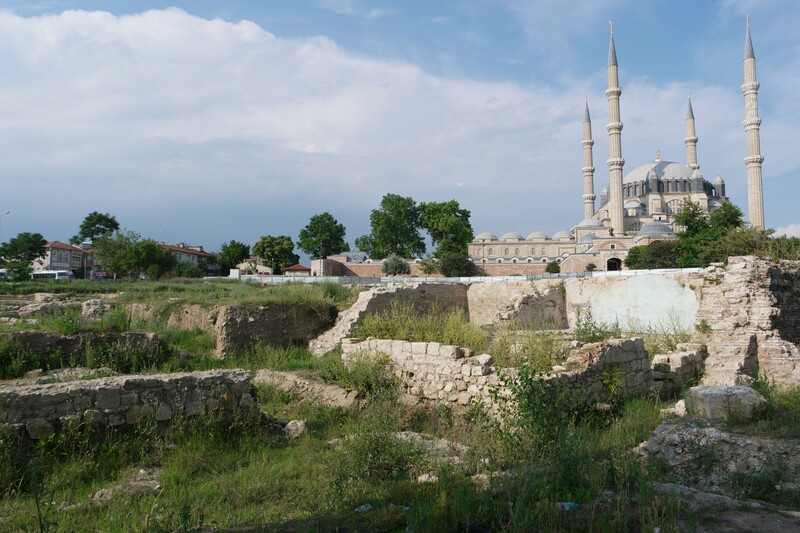 Edirne Cultural and Natural Heritage Preservation Board initiated archaeological excavations that started in autumn of 2013, in three selected places of the square. It was just the beginning of groundbreaking discoveries, revealing the secret history of the city. Rüstem Pasha Caravanserai is located in the historical centre of Edirne, on the mainland route between Asia Minor and Europe. Even after losing the status of the capital of the Ottoman Empire, Edirne continued to be the critical military and commercial centre of the Empire's European provinces. In the 1560s, the Grand Vezir Rüstem Pasha commissioned the eminent architect Mimar Sinan to build a caravanserai in Edirne for the travellers and merchants to stay. Even today, the caravanserai still serves as a hotel, although its adaptation to modern standards has been questioned by visitors and architects alike.